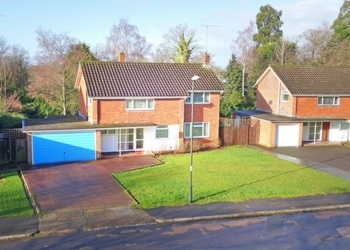 Located within one of Pound Hill's premier roads, this 3 double-bedroom detached family home has been cherished and cared for by the current owner who has lived in the property since it was built. 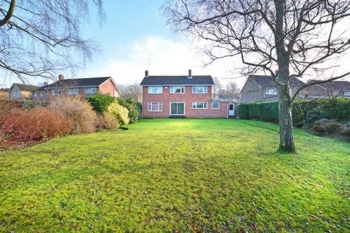 Offering spacious accommodation and an excellent opportunity to upgrade and extend, it is situated within the catchment area for Hazelwick and Milton Mount schools. 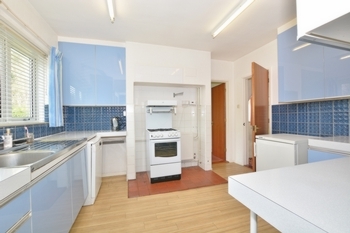 The popular Milton Mount park is just a short walk away. 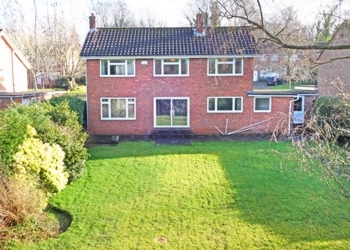 The property is 0.7 miles from Three Bridges station with its fast commuter links to London, equally, junction 10 of the M25 is easily and quickly accessible by car. 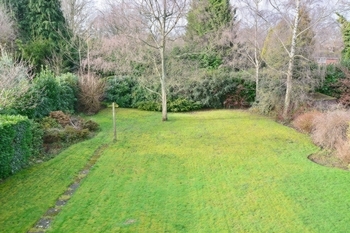 The wide frontage is predominantly laid to lawn but also includes a driveway which will accommodate up to four cars. On the left side of the property is a gated path which leads to the back of the house. 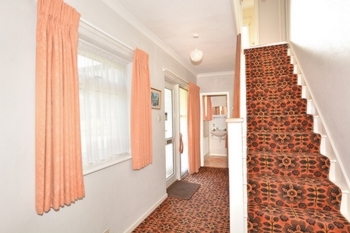 The front door is situated under a porch and opens into a spacious 17' entrance hall which provides access to the coat cupboard, downstairs cloakroom, kitchen, lounge and stairs to the first floor. 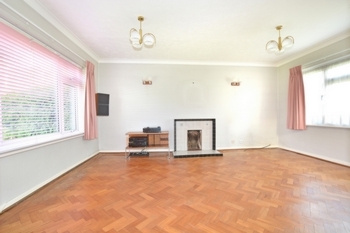 The light and bright double aspect lounge retains some of its original features, including its beautiful wooden parquet flooring and the open fireplace with original tile surround. Double opening glazed doors provide access to the dining room which can easily fit an 8-seater table and chairs as well as a sideboard and free-standing furniture. 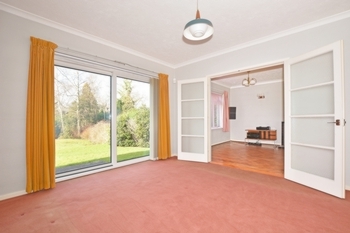 Sliding patio doors can be opened from here to step out into the beautiful west facing garden. 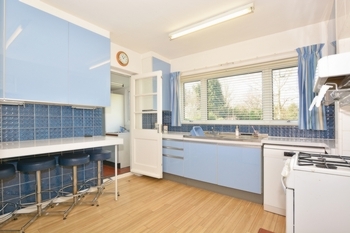 The kitchen, which can be accessed either from the dining room or the entrance hall, offers a good range of base and eye level units with work surface surround and an integrated breakfast bar with four stools. 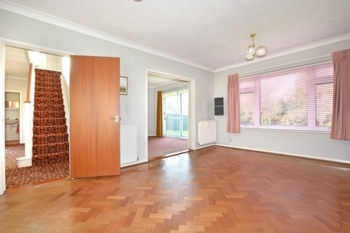 This room also overlooks the sunny garden. 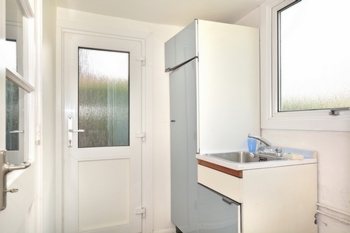 A small utility room can be found through the door at the side of the kitchen with space and plumbing for washing machine, doors opening to the garage and rear garden. 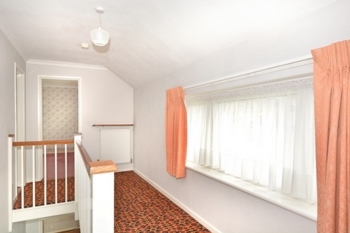 The first-floor landing features a large front aspect window and provides access to the bathroom and the bedrooms. The 16'9 x11'11 master bedroom has the same double aspect as the downstairs lounge overlooking both front and rear gardens. 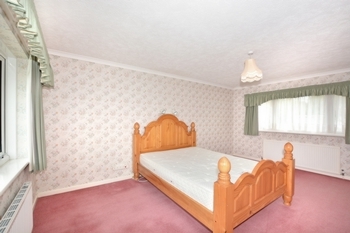 There is plenty of space here for a king-sized bed as well as dressing table, wardrobes and free-standing furniture. 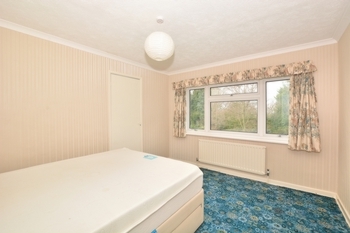 Bedrooms 2 and 3, overlooking the beautiful rear garden, both benefit from a built-in wardrobe and can comfortably accommodate a king-sized bed alongside other furniture. 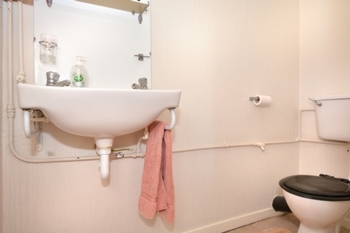 In addition, bedroom 3 houses the airing cupboard with hot water tank and a pull-down door with ladder for access to the partially boarded loft. 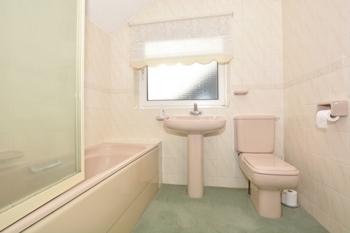 The family bathroom comprises a three-piece suite set with pumped electric shower over the bath and fully tiled walls. 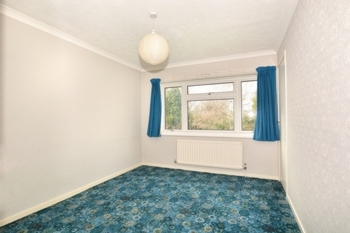 The property benefits from an attached 18'9 x15 double garage with an electric up and over door, power and light and a further door to the rear garden. 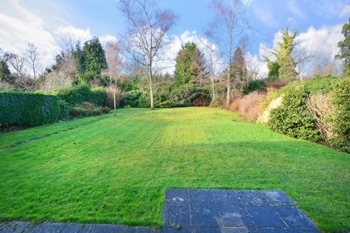 The wide, west-facing rear garden offers a fantastic asset, complementing the space and potential of the home. 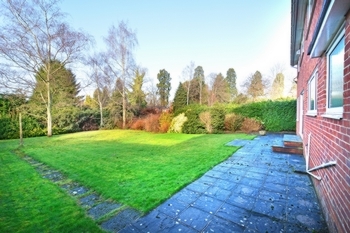 Extending to a length of over 85' and currently mainly laid to lawn, it offers privacy and seclusion in a sunny setting with mature shrubs, hedging and trees to all sides.